A growing Indian engineering solutions company approached us in 1990s for rebranding with an ambition to become a global conglomerate. 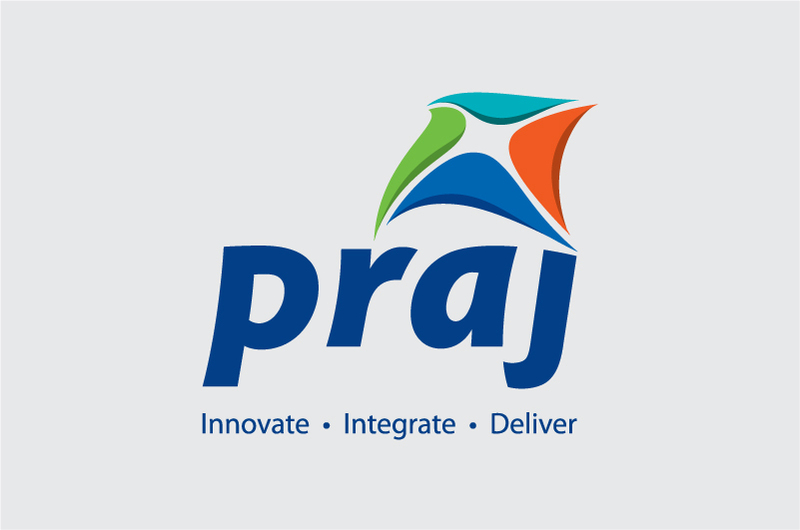 A strong visual identity and tone of voice created by us for Praj Industries saw the company through more than two decades of growth. In 2012 the company approached us again to take them to the next level of global growth in diverse expertise areas through rebranding. The challenge rebranding needed to address was the announcement of diverse expertise areas across several global markets. After careful consideration of the brand equity and future aspirations of the company the new set of brand values were defined as integrity, innovation, reliability, passion, responsibility and agility. This was a collaborative exercise where we conducted several internal workshops to arrive at appropriate values. The new set of values facilitated the internal cultural change necessary for the new growth phase. An evolutionary visual identity was created with colours inspired from technologies of expertise and form inspired from the existing visual identity. Praj has transitioned into the new growth phase with the successful launch of new set values, brand identity and brand purpose.